The taxi industry is the reflection of the progress made in the automobile industry. Over the century, visionaries have been labouring towards accomplishing the unbelievable. Corporations like Tesla, Amazon, Microsoft, Alphabet and Apple are contributing in their own way to propel the transportation industry into the future. Similar to how they adopted taxi app like Uber, taxi businesses need to have an eagle-eye focus on the emerging trends that can disrupt their industry. Without further ado, let’s peek into the future to witness the trends that will shape the taxi industry of 2018 and the coming years. While some may argue that cars like Mercedes-Benz E-Class and Tesla S have already set the ball running on the self-driving trend, drivers are still required to supervise the car’s driving behaviour. The future will herald the release of autonomous vehicles that are capable of driving in any environmental conditions, without any supervision. Magnetic roads are going to be the carrier for such autonomous cars where the vehicle will precisely travel across predetermined points for improved safety. As is the case with Uber-like apps of today, people will be able to call for an autonomous car and command the vehicle to drop them off at their destination. With rising concerns about environmental degradation, tomorrow’s transportation industry will be increasingly focused on eco-friendly innovation. Instead of relying on generating electricity by using fossil fuel, solar-powered electric cars will see the light of the day in 2030. The roads will also transform to accommodate such electric cars by implementing a technology that charges cars while on the move. Imagine the kind of revolution this would create! For many years, engineers have been working vigorously towards bringing the idea of flying cars into reality. In the coming decades, flying cars will be actively used for personal transportation. Where drones are now being used for transportation of goods, unmanned aerial vehicles will be made available for both commercial and personal purposes. 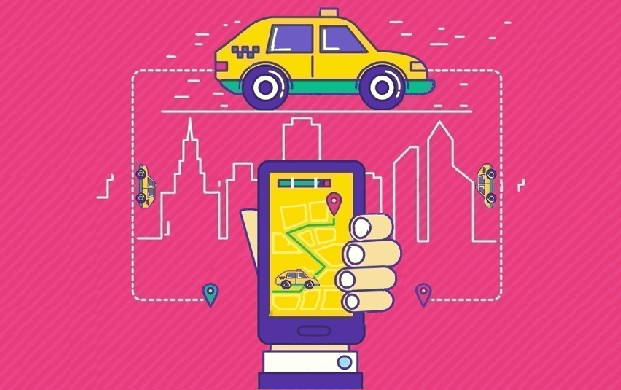 Where apps like Uber have transported taxi industry to the digital revolution, taxi businesses can watch out for these trends and prepare themselves for the future.